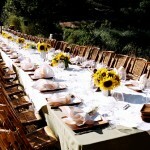 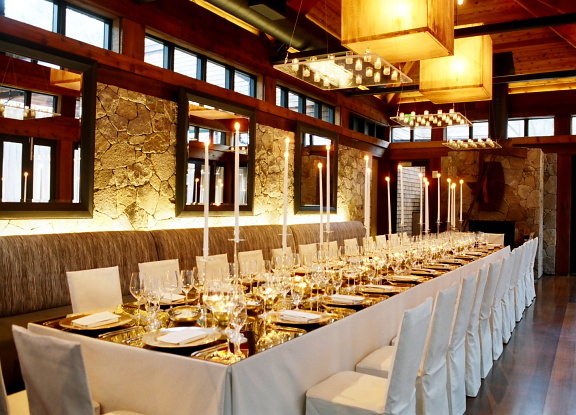 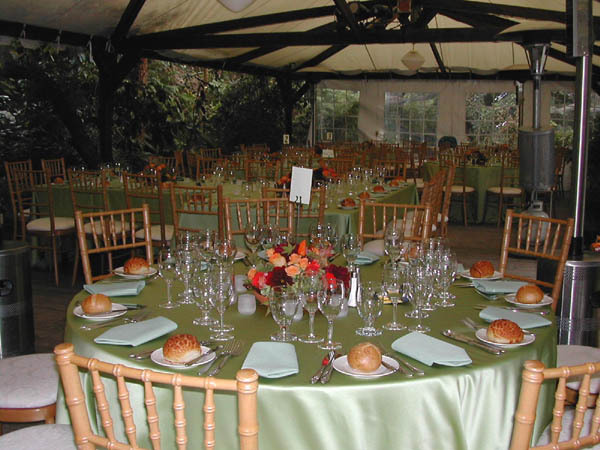 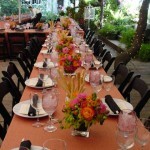 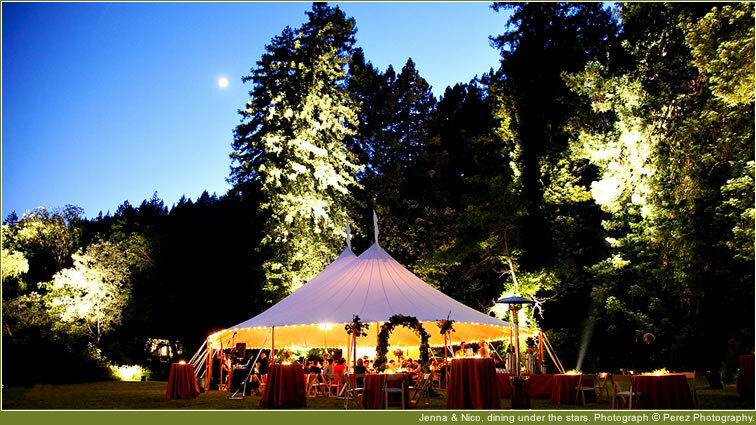 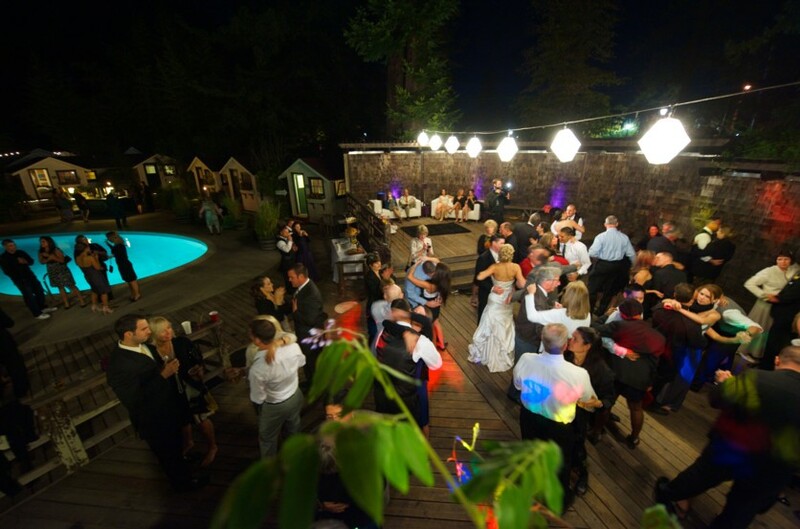 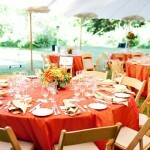 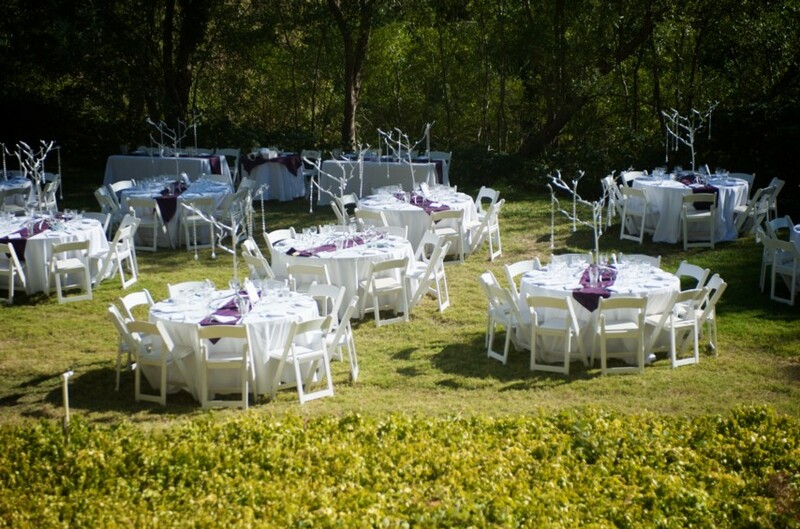 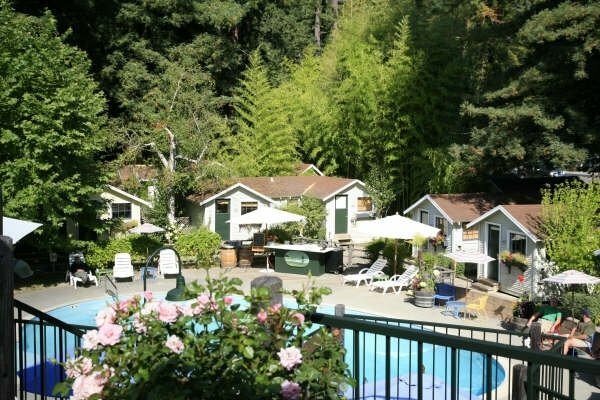 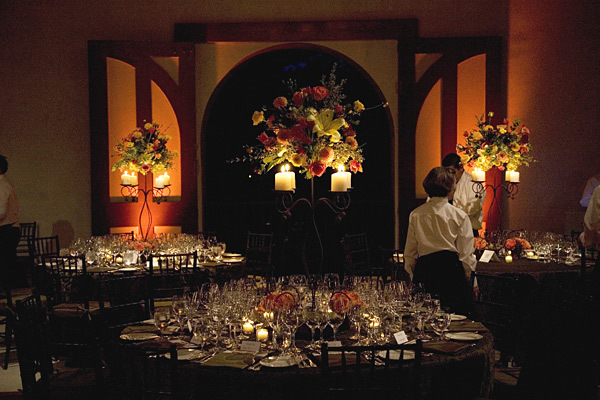 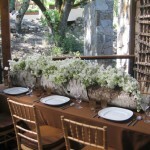 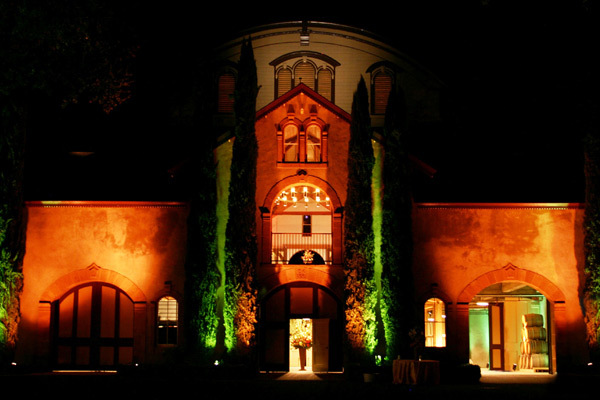 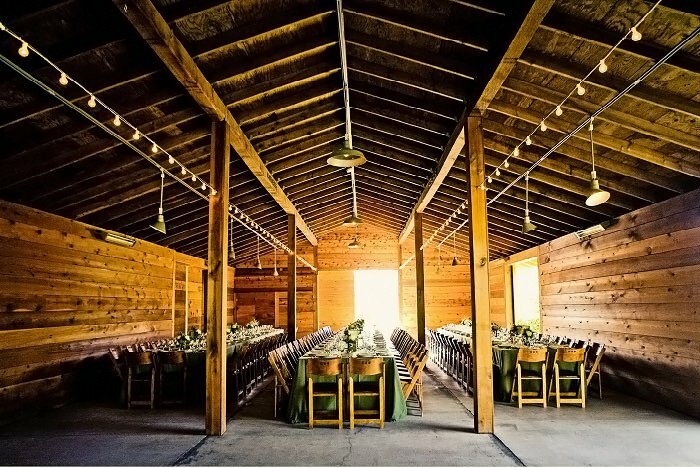 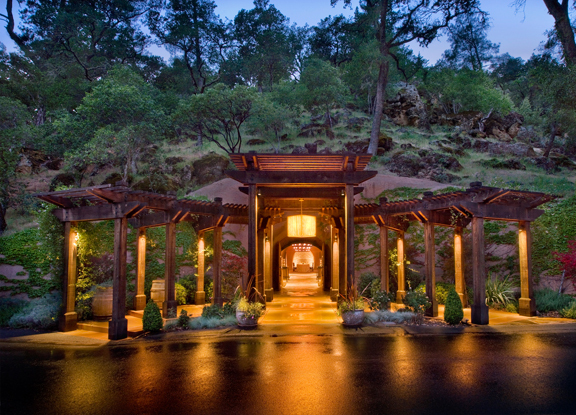 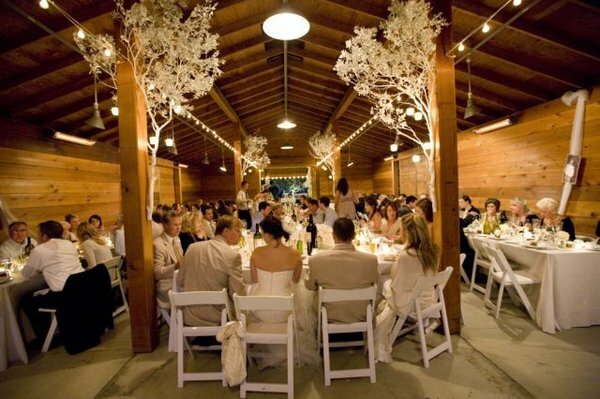 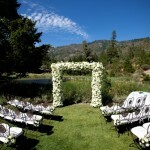 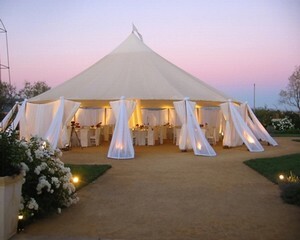 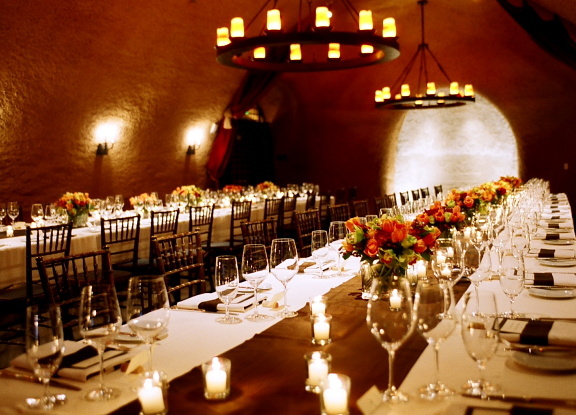 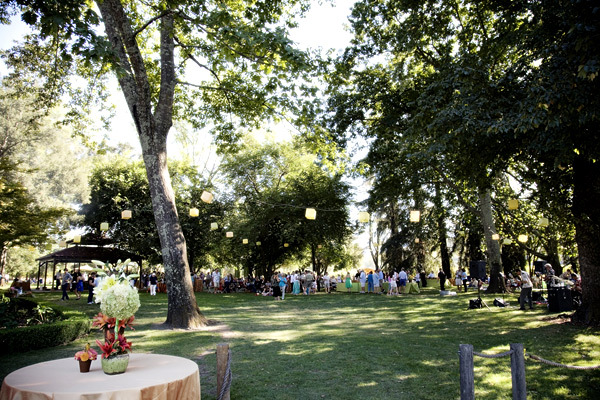 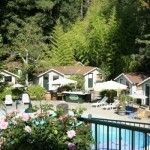 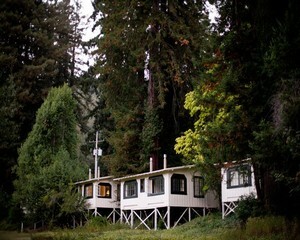 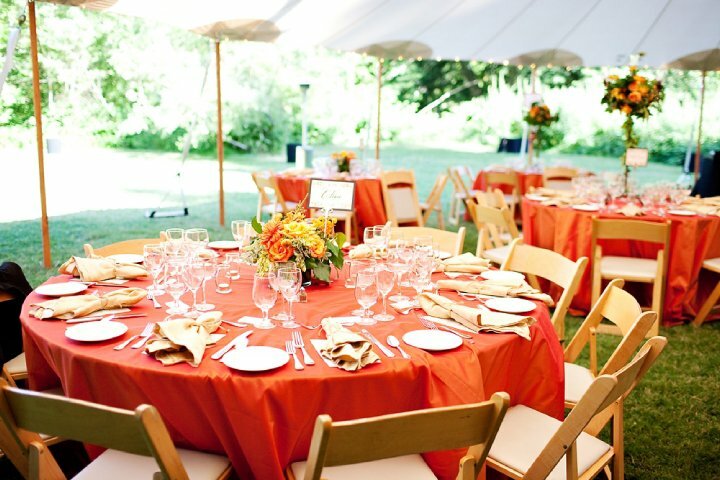 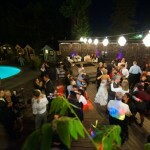 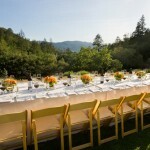 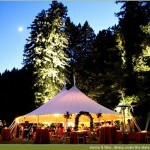 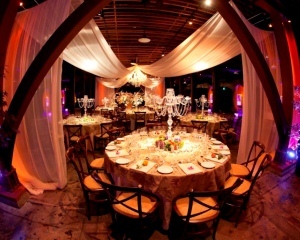 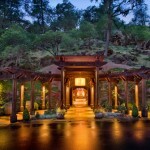 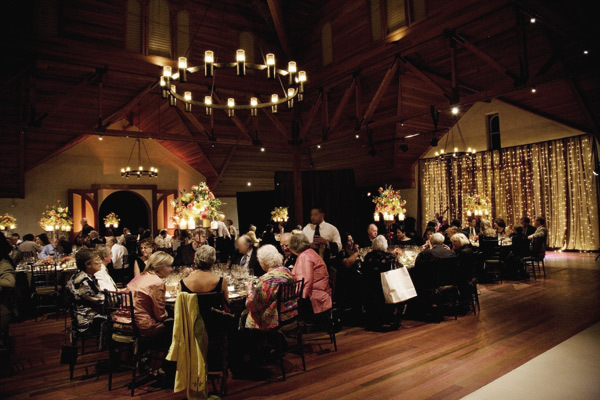 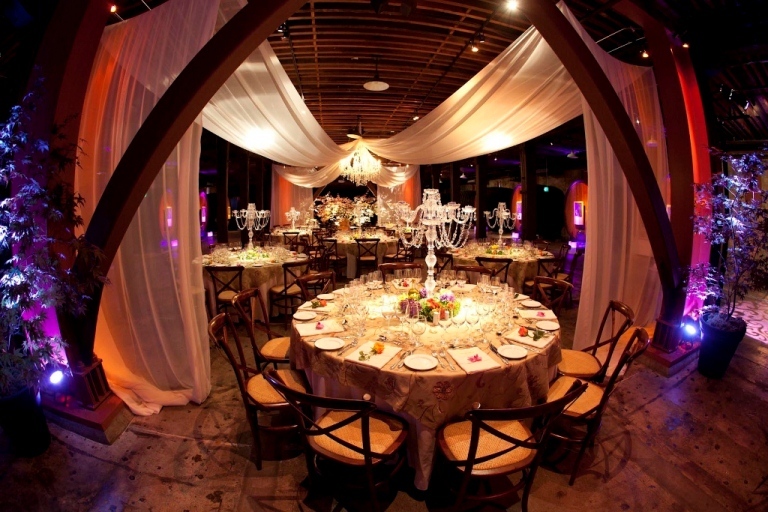 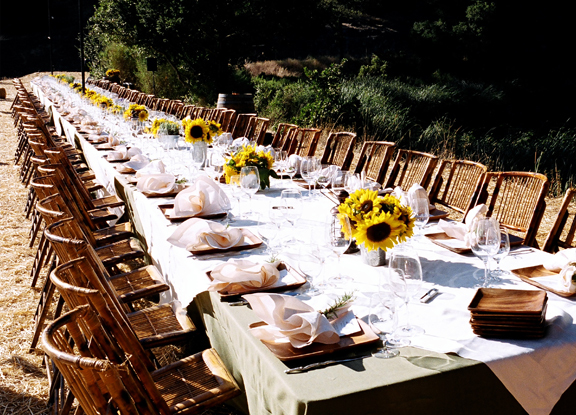 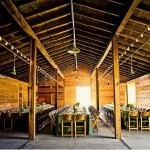 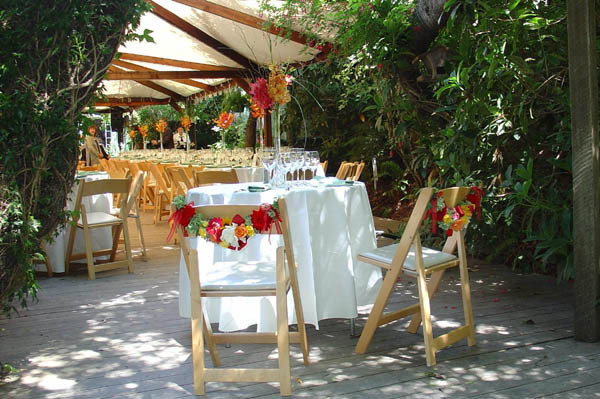 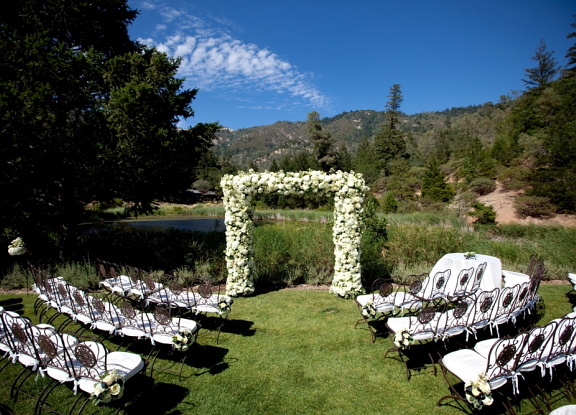 In a secluded canyon, elegantly designed in harmony with nature, Calistoga Ranch Napa Resort provides the perfect setting for a truly original Napa event that will long be remembered. 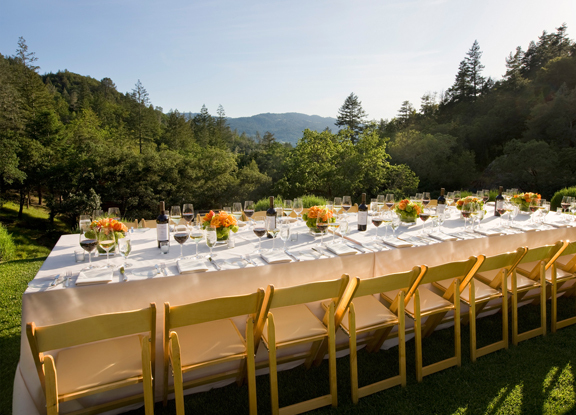 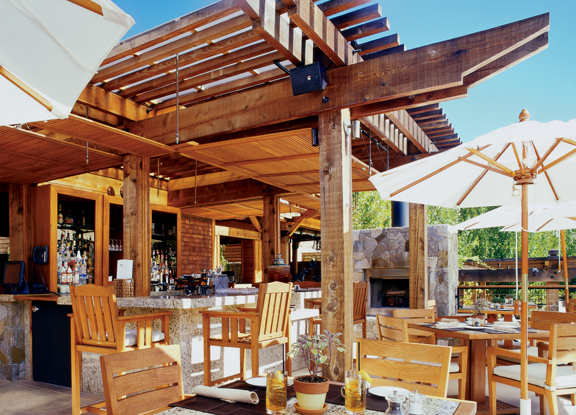 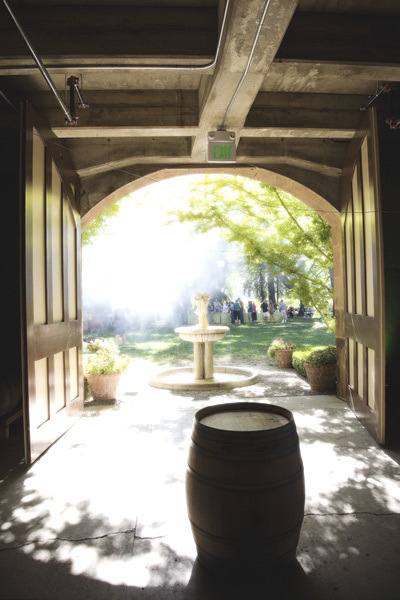 Whether for an idyllic Napa wedding or executive retreat, Calistoga Ranch offers an authentic wine country experience that all guests will remember warmly. 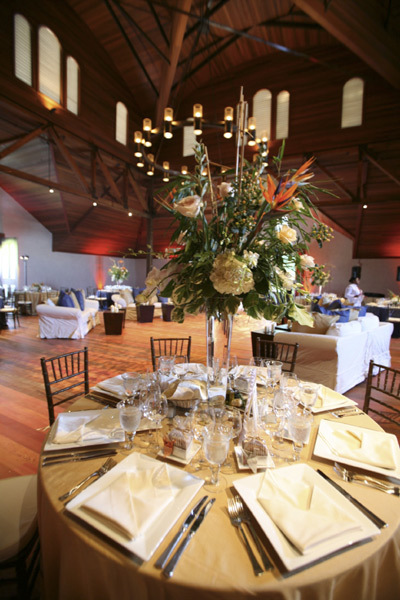 A professional staff is on hand to attend to every detail including decor, menu selections, technology needs, accommodations, and activities. 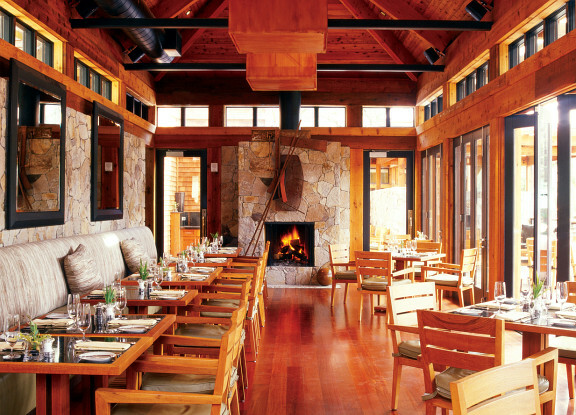 You and your guests can enjoy impeccable service, fine cuisine and world-class amenities, along with the welcoming accommodations of our 48 private guest lodges. 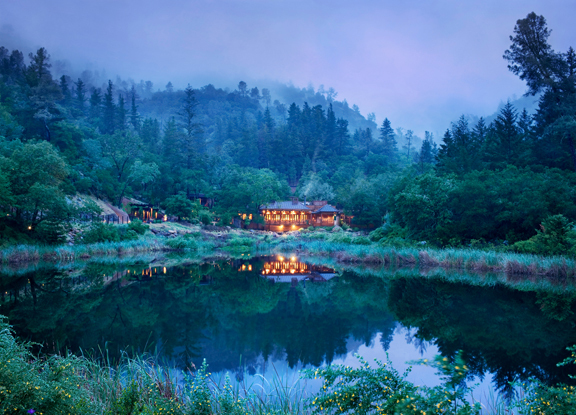 Amidst 157 acres of forested hills or by a serene lake, choose from incomparable venues that will reflect business and pleasure at its finest. 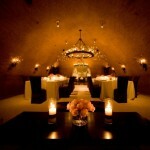 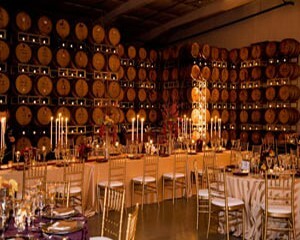 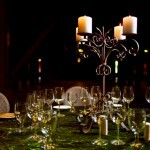 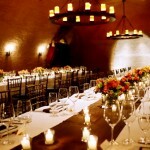 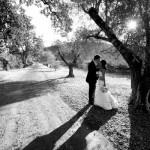 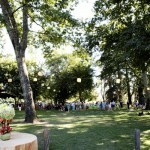 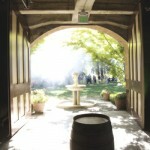 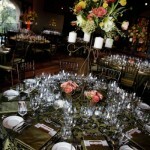 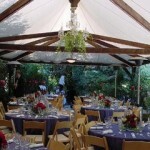 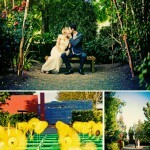 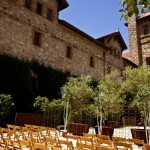 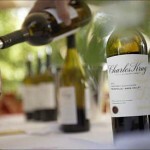 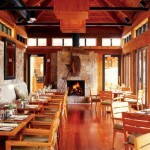 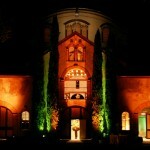 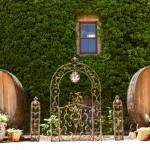 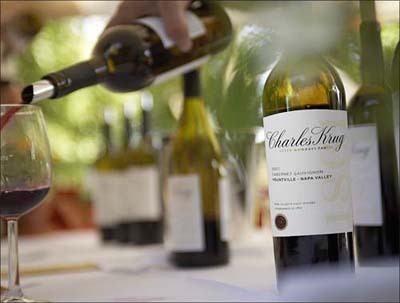 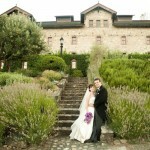 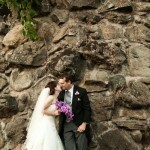 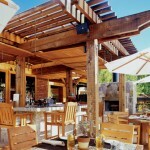 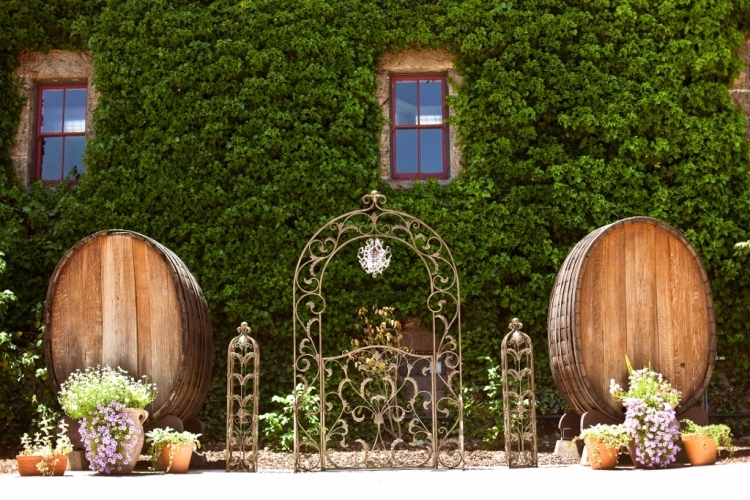 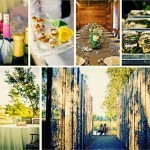 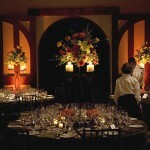 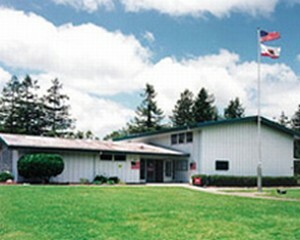 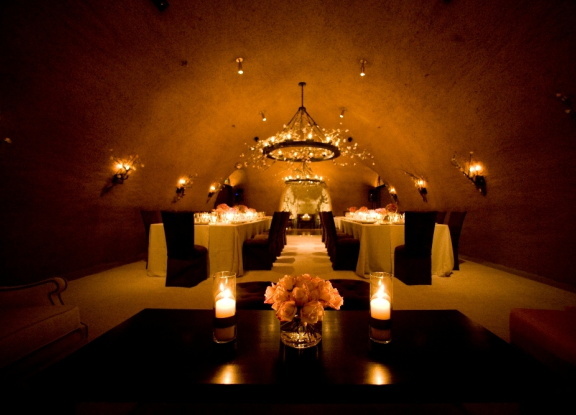 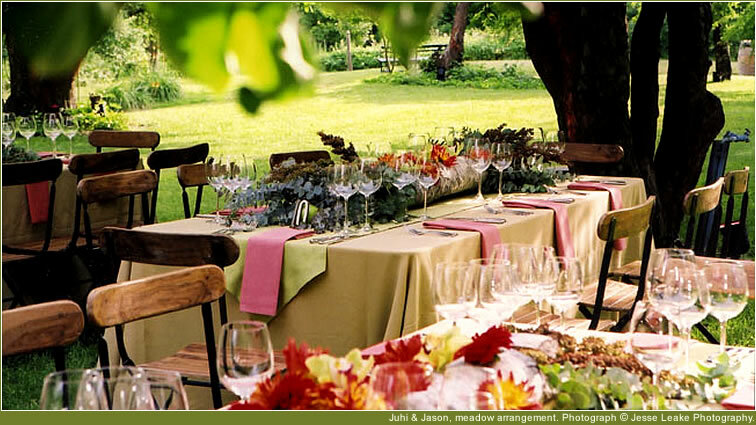 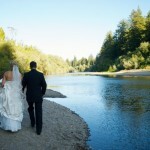 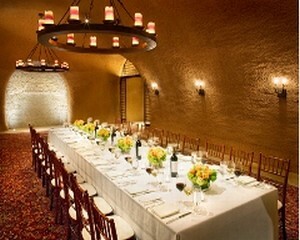 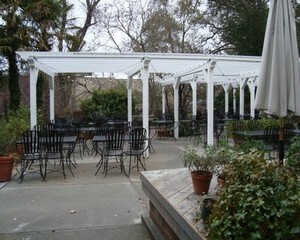 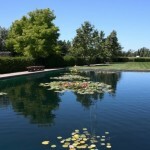 Charles Krug Winery is one of the rare wineries in Napa Valley permitted to host weddings on winery property. 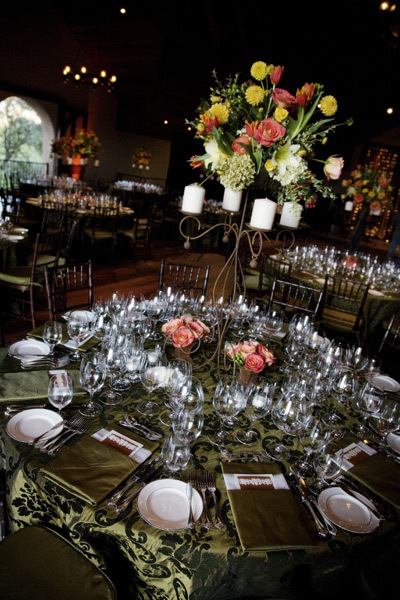 In a natural setting in the heart of the Valley’s oldest winery estate, our 1881 Carriage House offers a completely renovated ballroom/dining room, as well as an expansive, park-like lawn wrapped in vineyards. 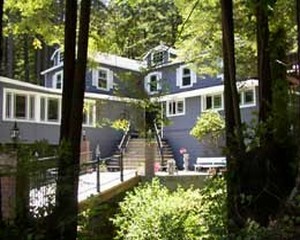 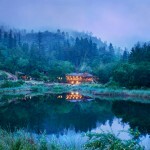 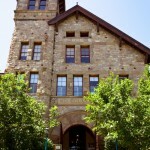 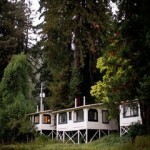 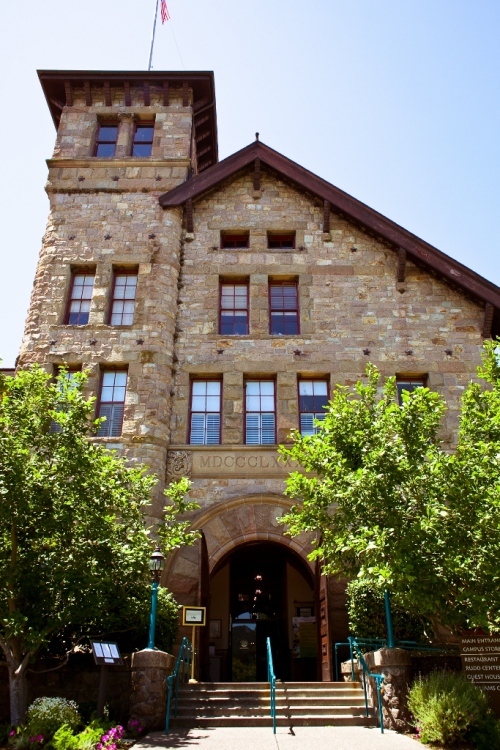 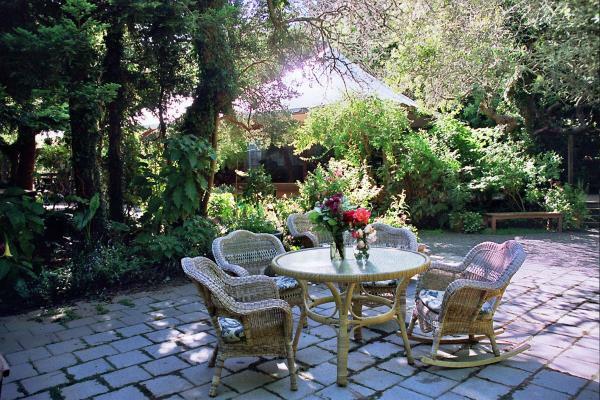 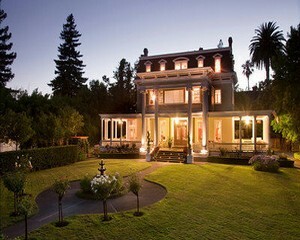 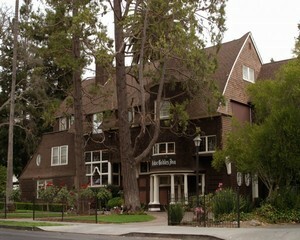 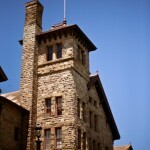 The historic property was featured in two films, the 1959 Rock Hudson/Jean Simmons saga of wine and passion, “This Earth is Mine,” as well as “A Walk in the Clouds” with Keanu Reeves. 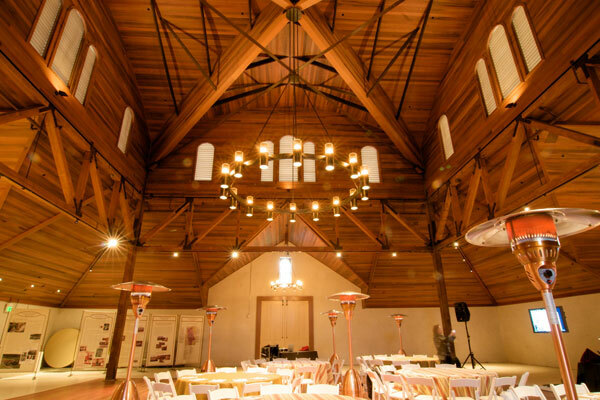 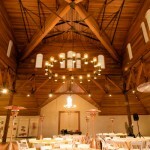 Upstairs, the Carriage House boasts a soaring cathedral ceiling and floor finished in old-growth redwood, and stunning period chandeliers. 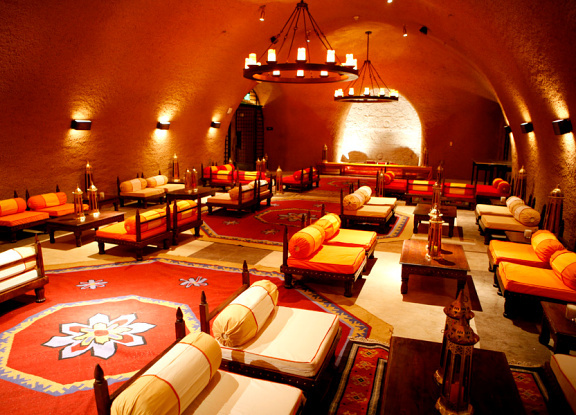 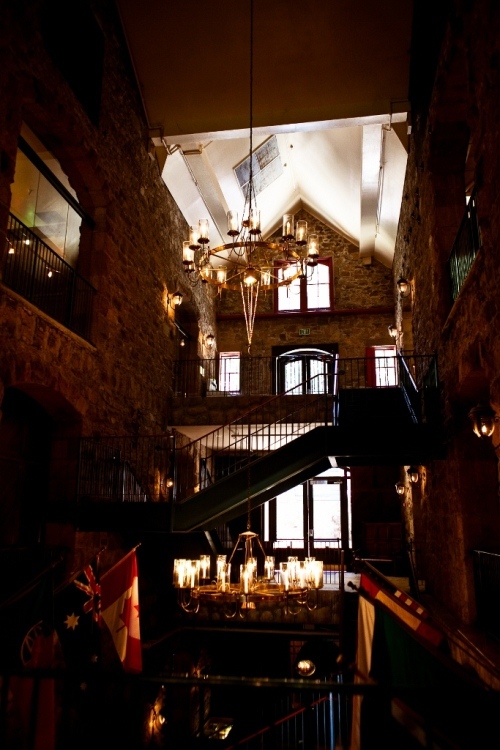 Downstairs offers a simpler open, pillared space which can be transformed according to any theme. 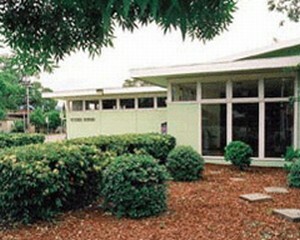 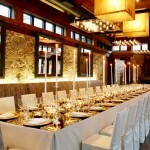 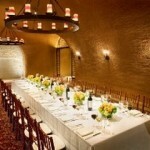 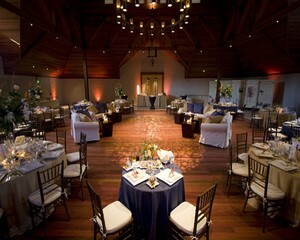 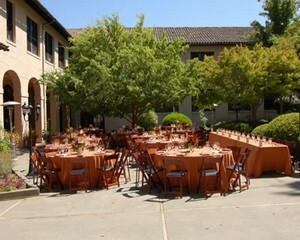 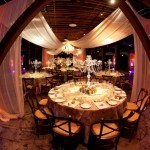 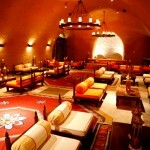 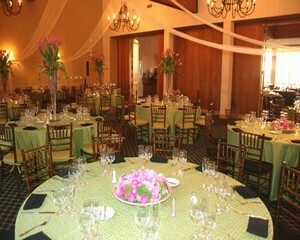 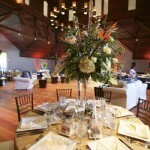 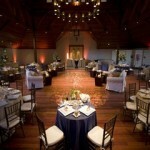 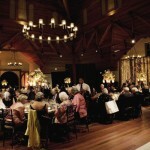 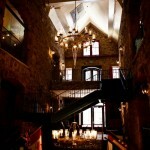 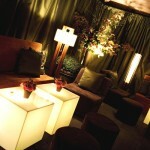 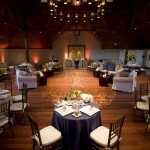 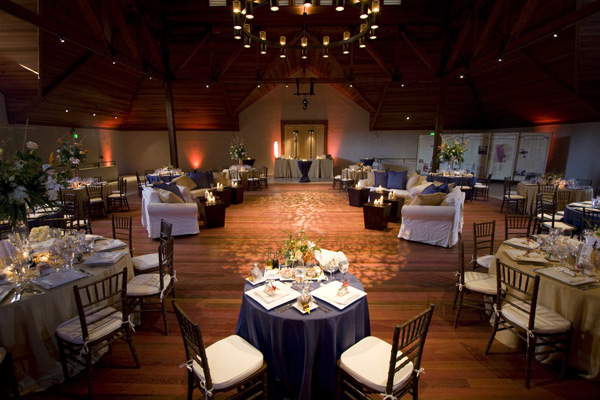 Each floor can accommodate up to 175 for seated dining and 280 for receptions. 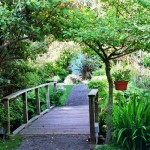 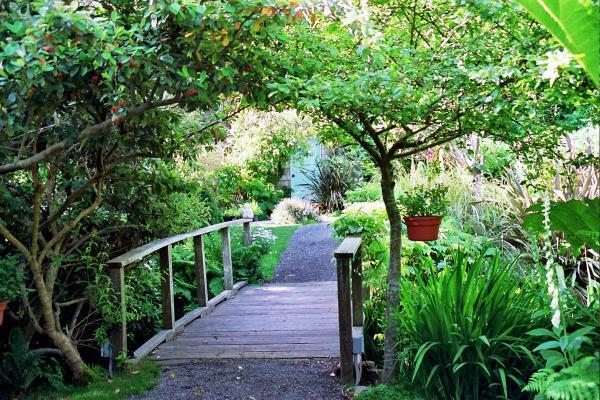 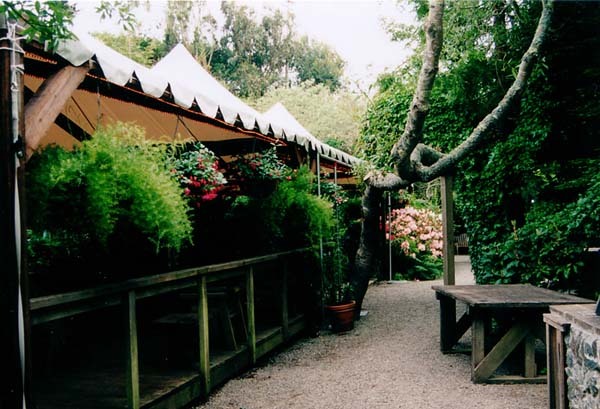 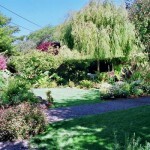 Compass Rose Gardens is a cluster of lush and lovely plantings secreted away in a narrow canyon just West of California Highway One as it winds through the tiny fishing and resort village of Bodega Bay, California. 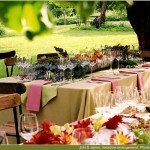 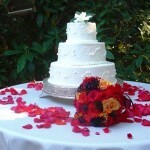 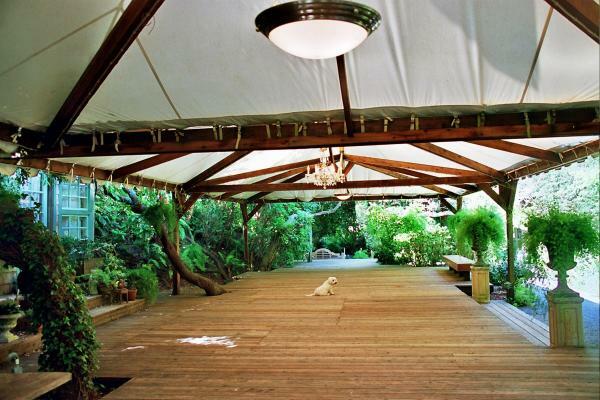 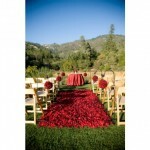 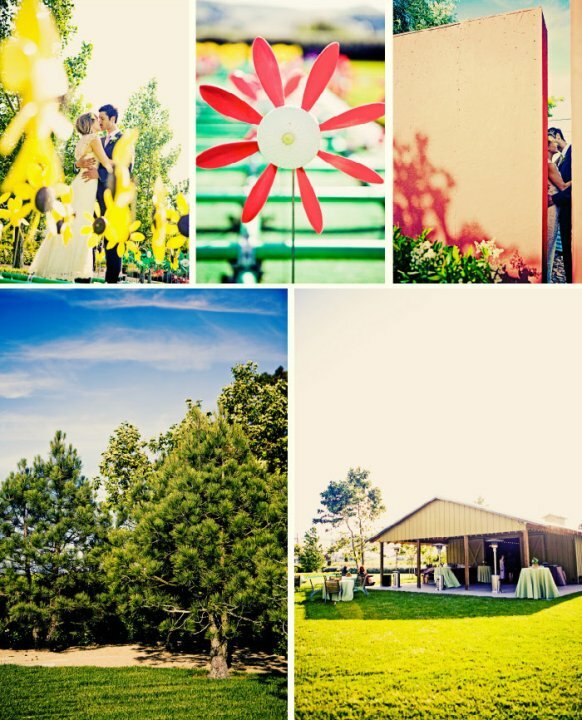 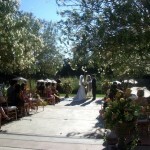 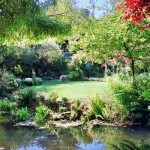 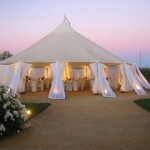 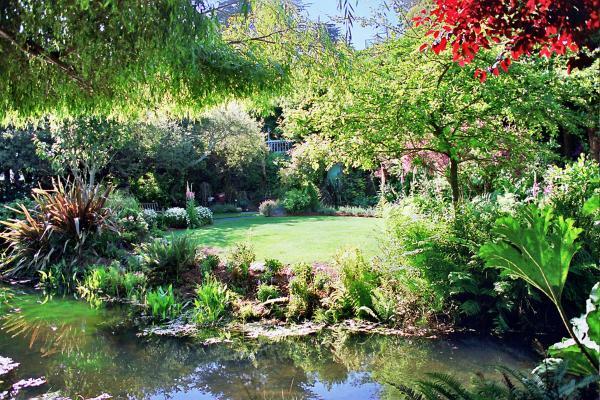 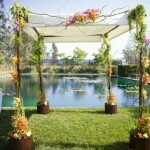 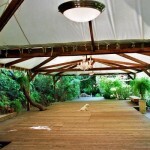 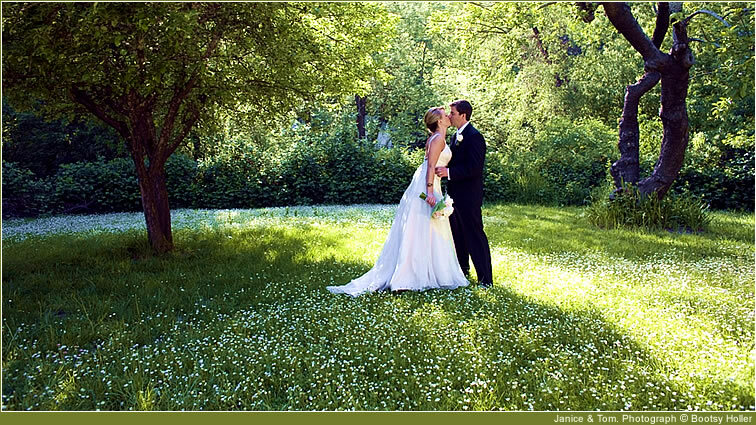 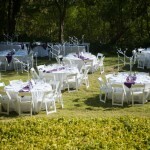 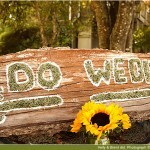 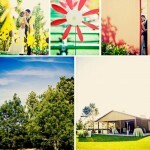 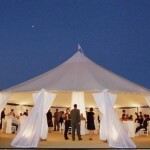 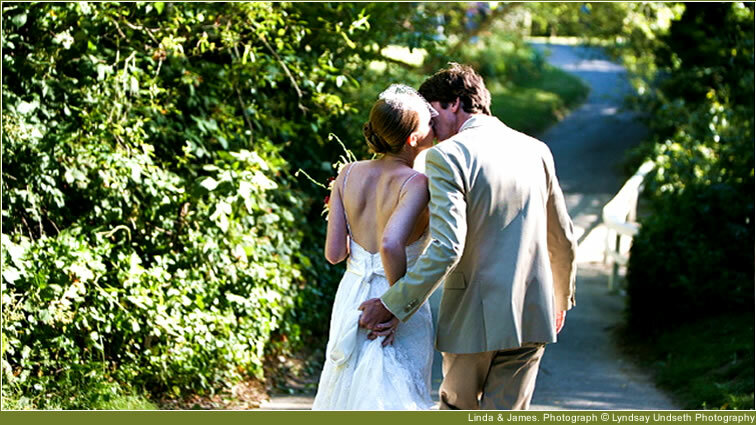 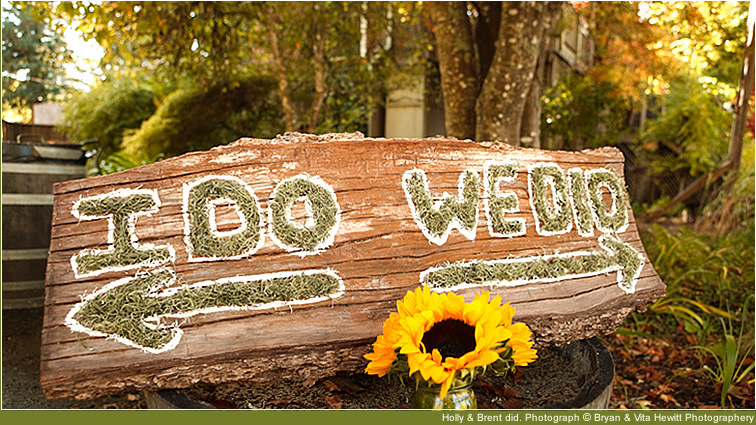 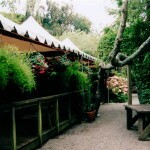 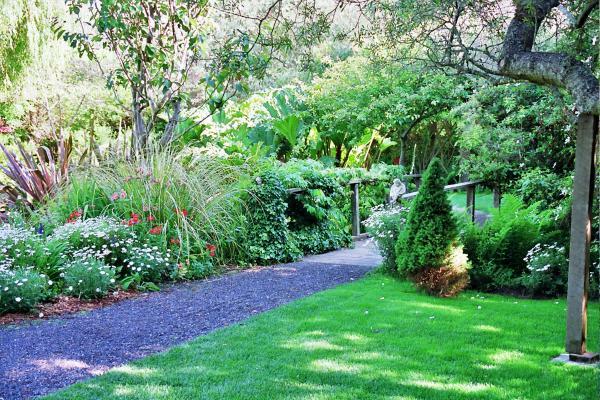 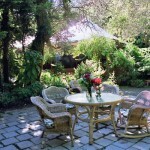 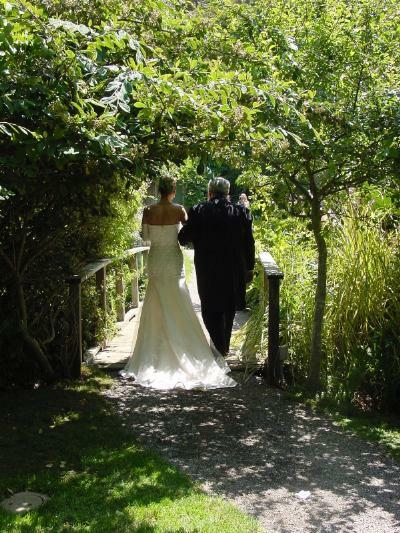 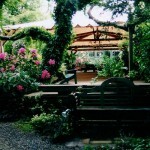 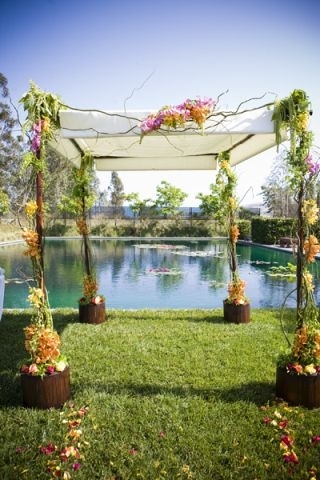 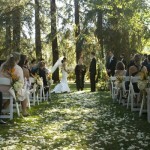 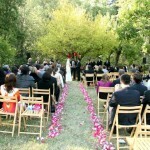 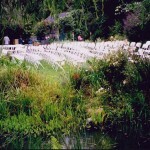 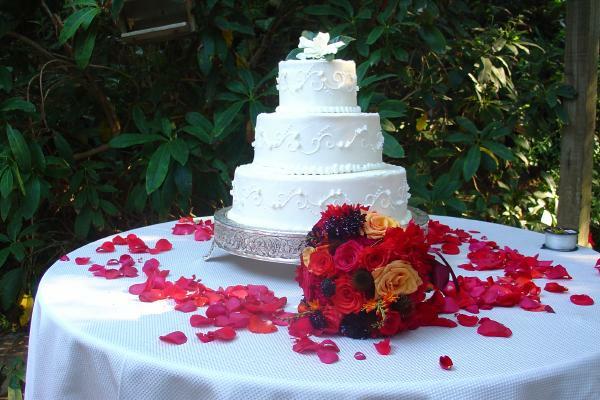 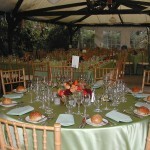 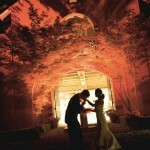 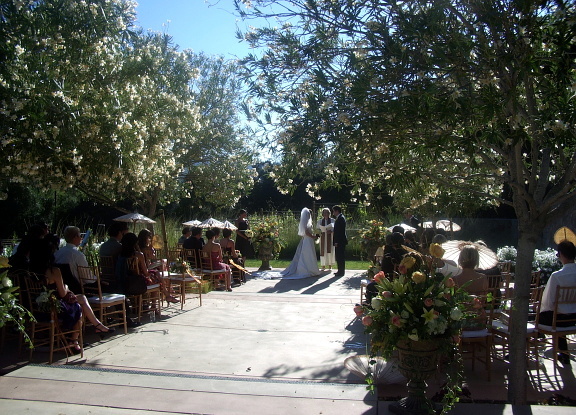 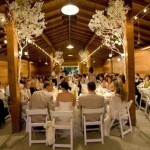 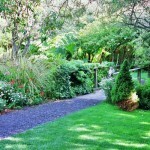 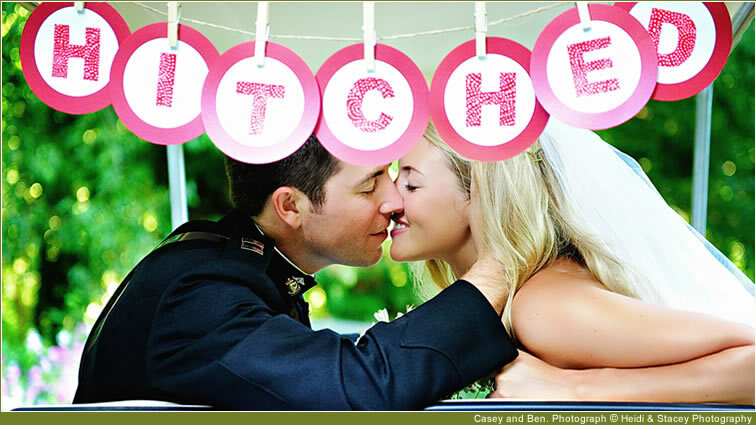 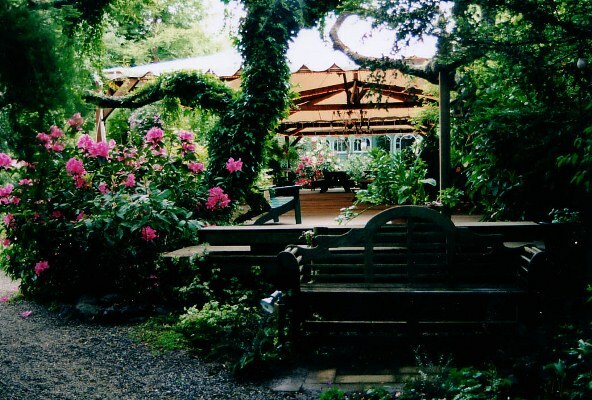 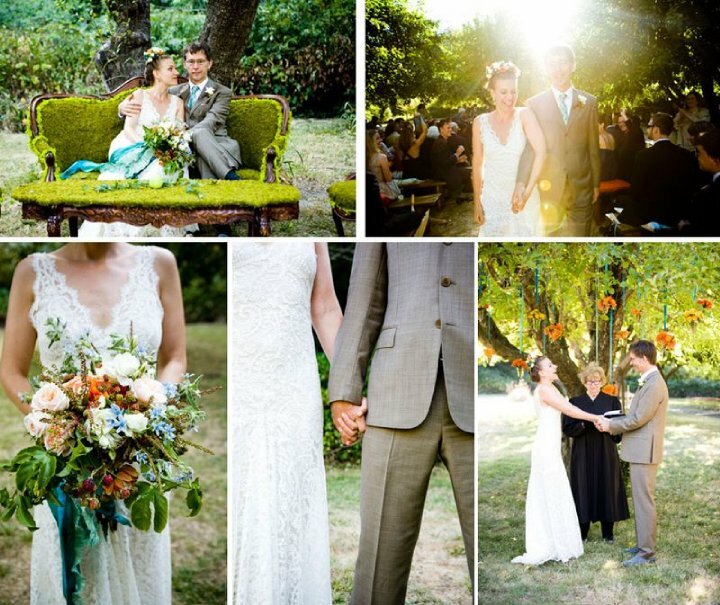 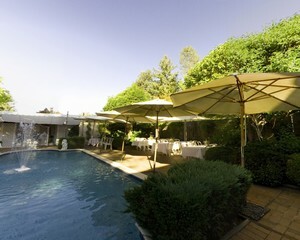 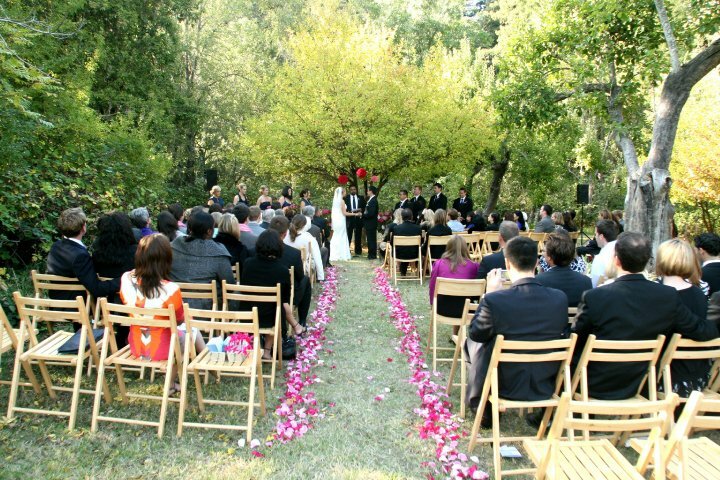 Compass Rose Gardens is an enchanting location for ceremonies of all sorts… weddings, renewals, memorial celebrations. 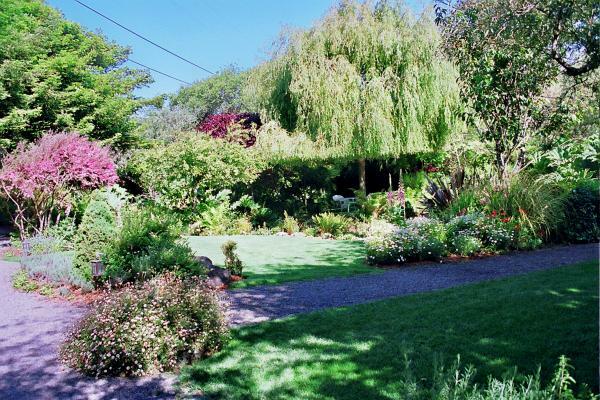 Azaleas and ivys, lavender and lacecaps, impatiens and iris, rhododendrons and roses, ferns and flowers of all sorts have been patiently planted around, between, and beneath native willows along the spring-fed creek that carved the canyon into Sonoma County’s spectacular coast. 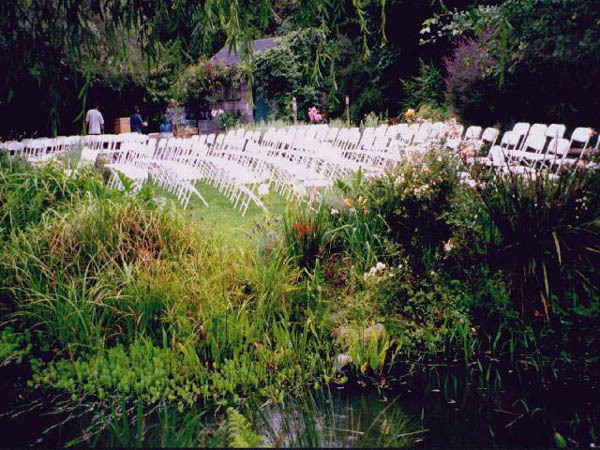 Willows, Japanese maples, ferns, and a multitude of seasonally changing blossoms provide the perfect backdrop for your special event. 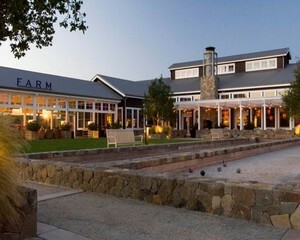 Located at the southern gateway to Sonoma and Napa Valleys, on the east side of Highway 121 just before the Carneros Junction, Cornerstone Sonoma features three distinctive wine tasting venues, a handful of gracious home and garden shops and galleries, and a cafe offering gourmet eat in or take away items set amidst nine acres of garden installations created by world renowned designers. 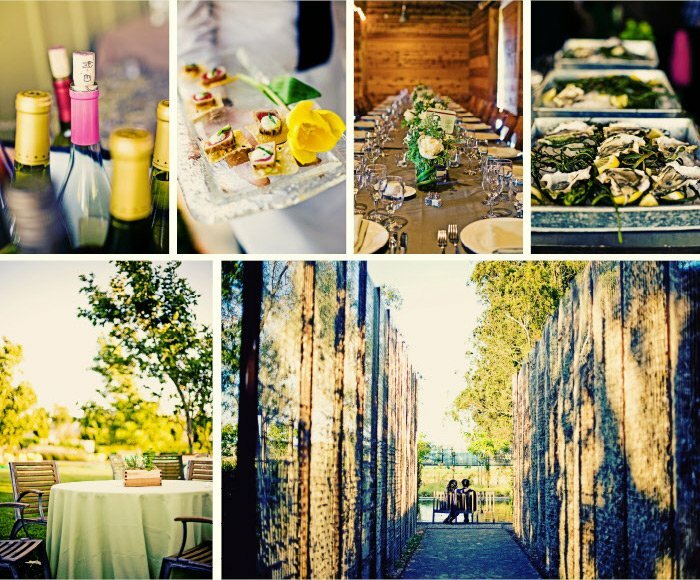 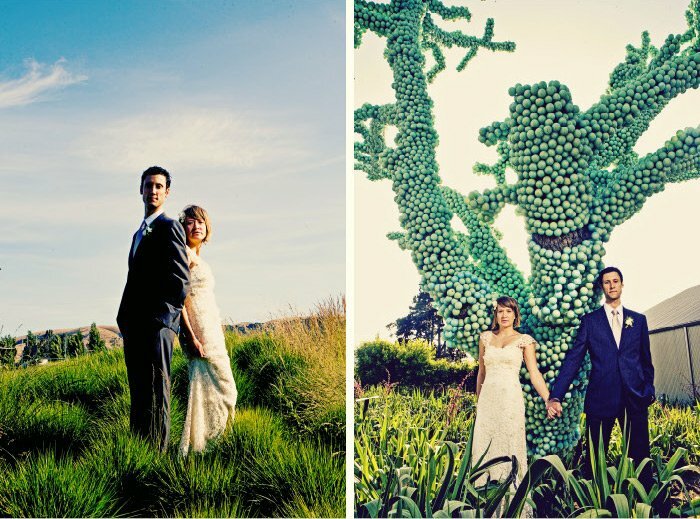 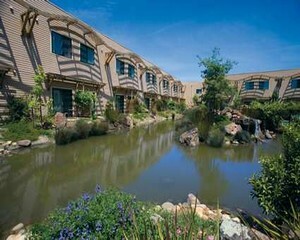 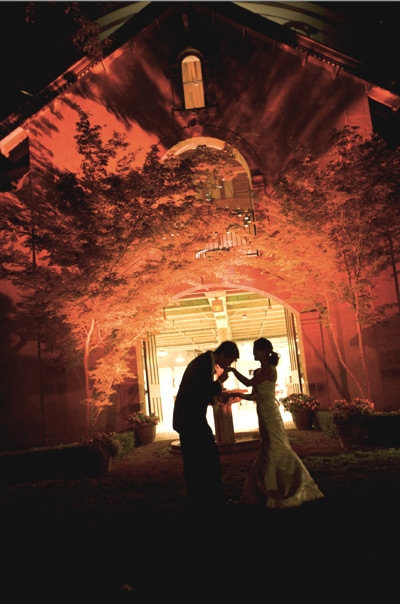 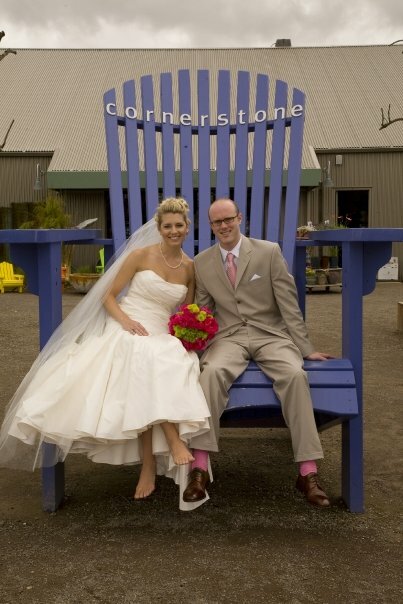 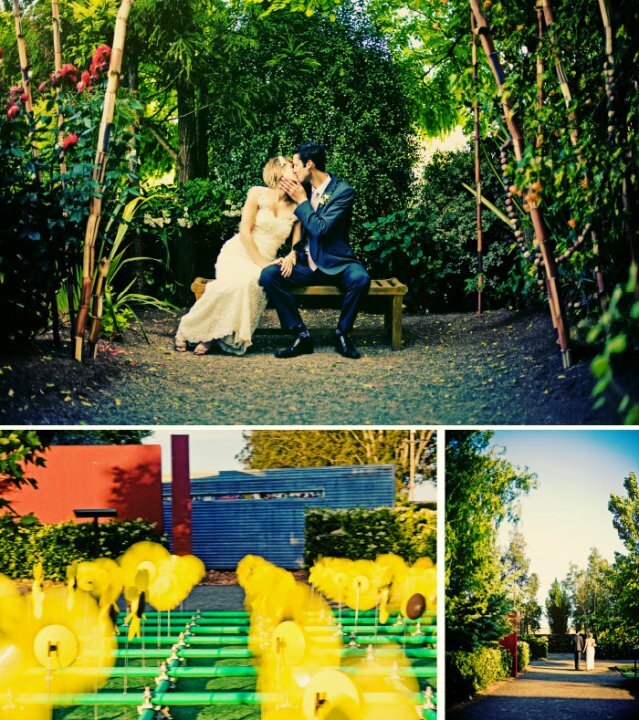 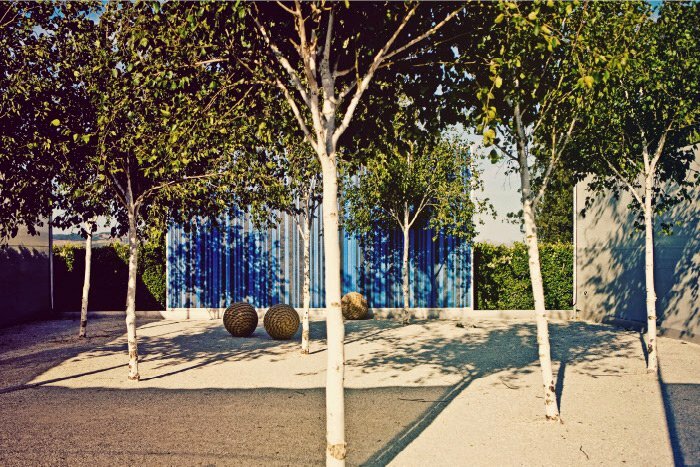 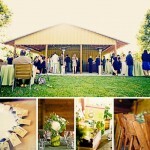 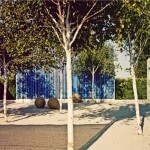 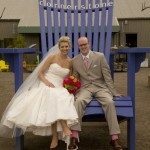 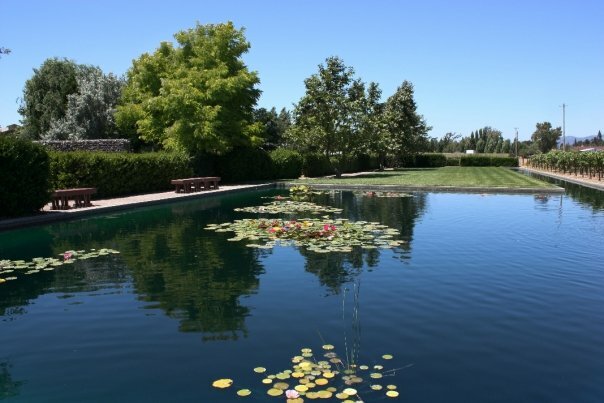 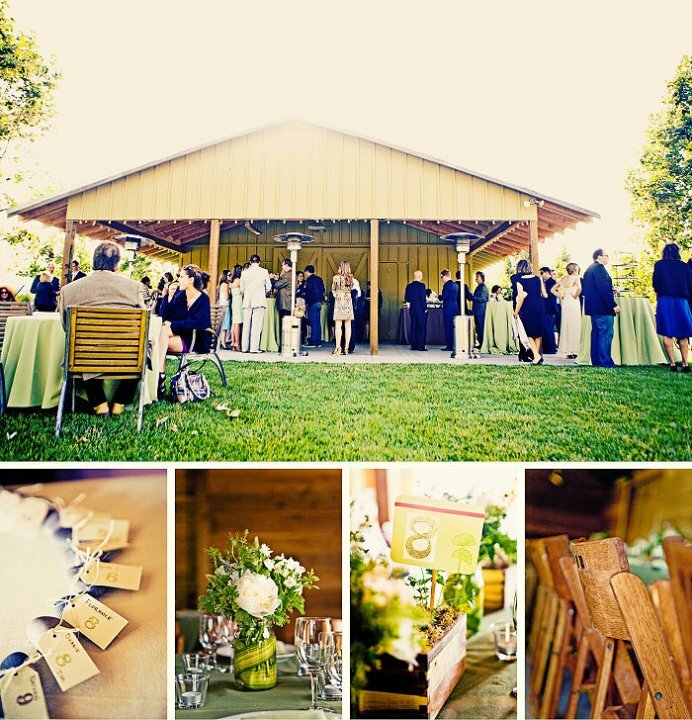 In addition to providing a showcase for landscape architecture, Cornerstone Gardens is home to several unique annual events and is becoming a favorite selection for discerning brides. 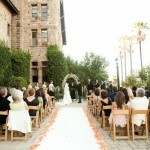 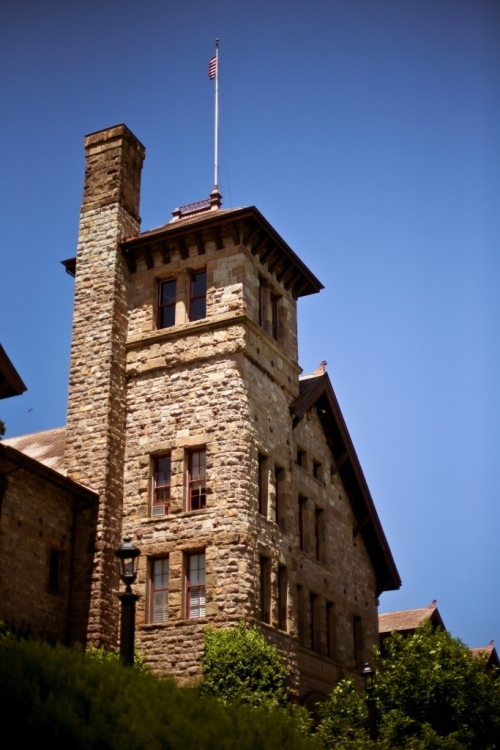 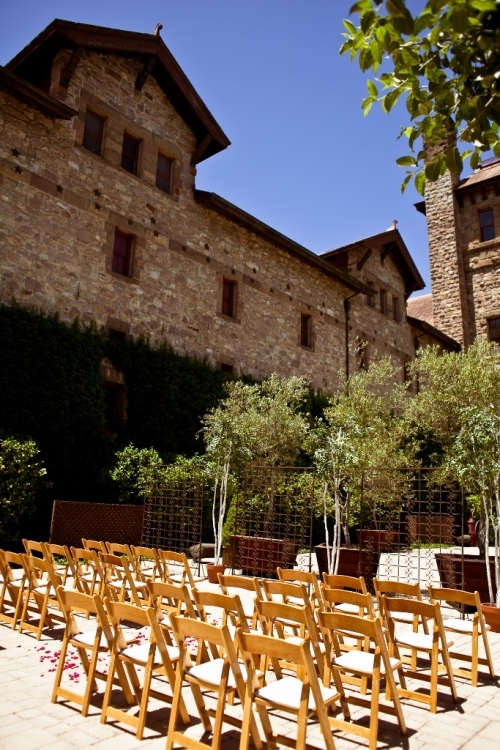 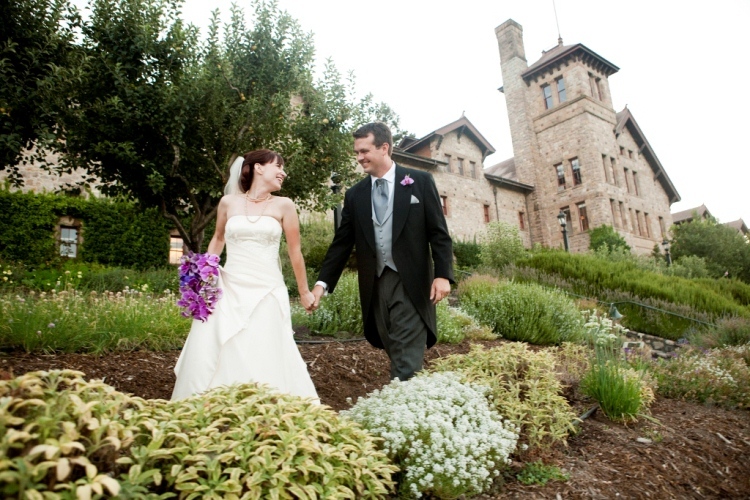 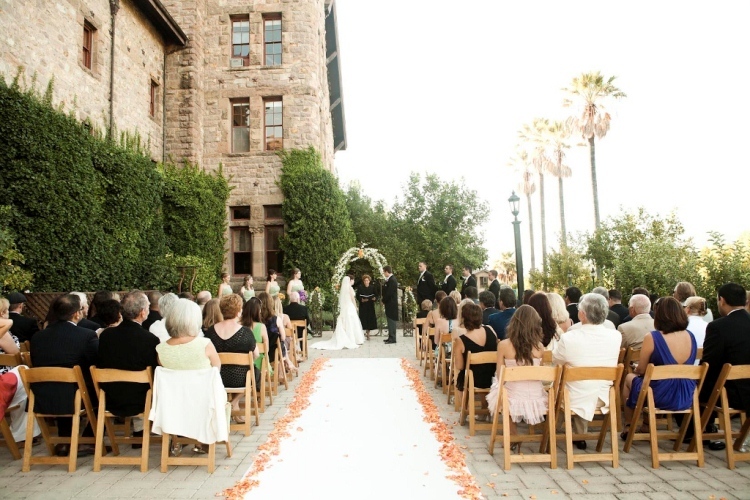 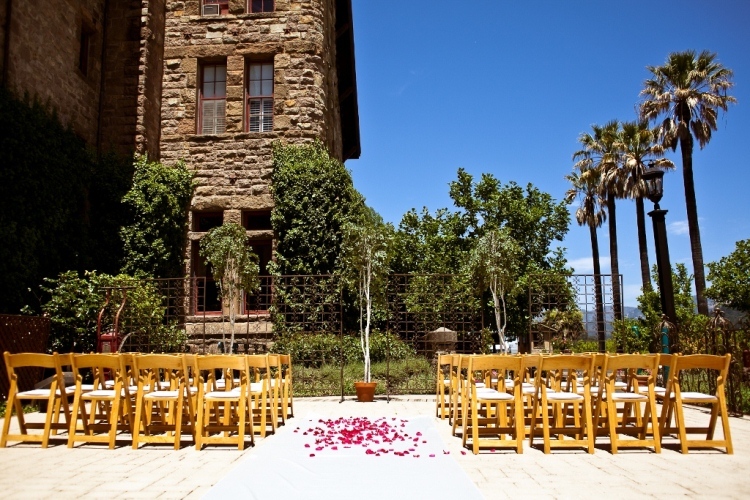 The CIA Greystone’s historic landmark building, with its grand cathedral ceilings, massive hand-cut stone walls and vineyard views, makes Greystone a magnificent venue for your event. 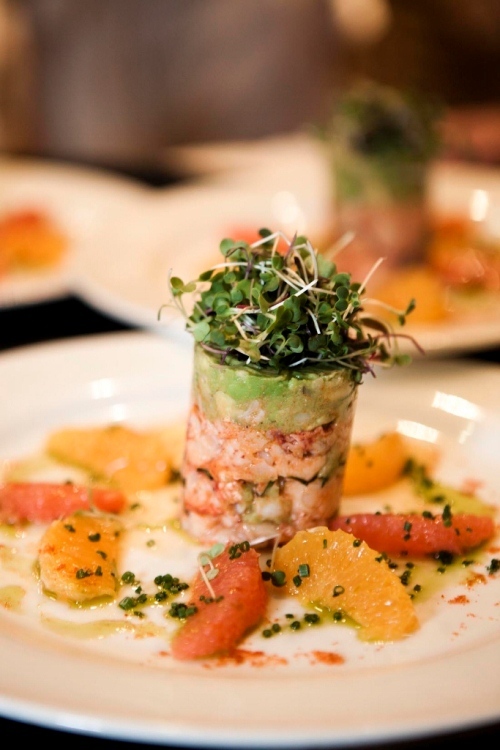 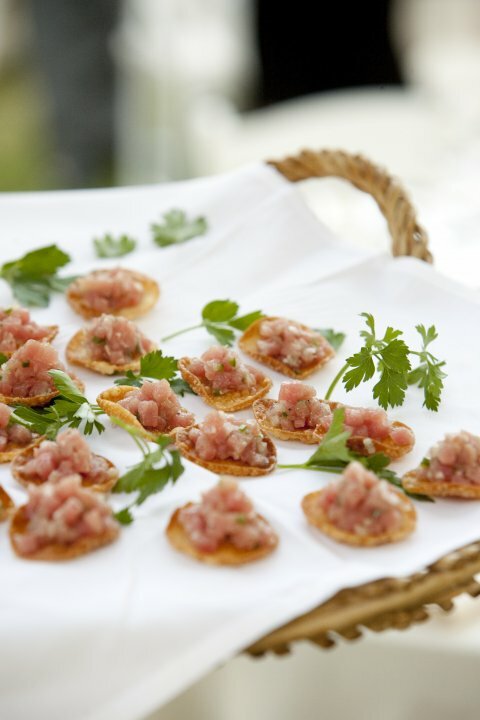 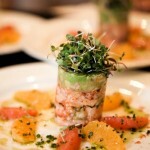 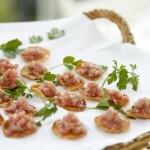 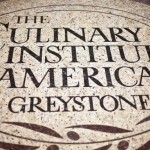 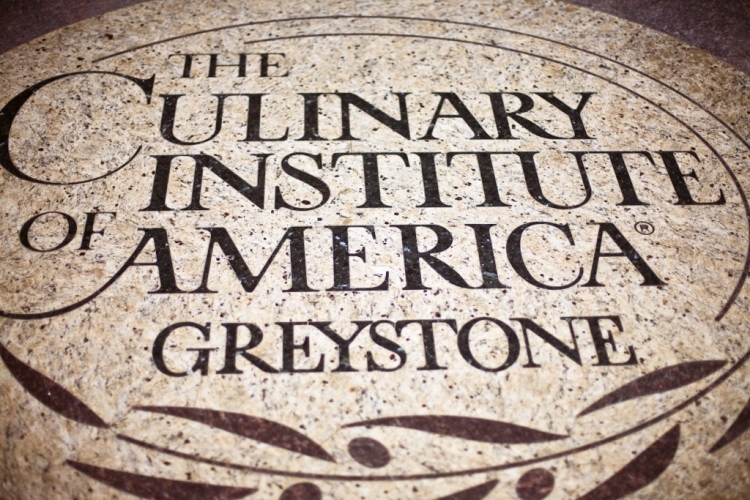 Our culinary team will custom design a menu unique to your event with the culinary finesse that only the CIA can offer. 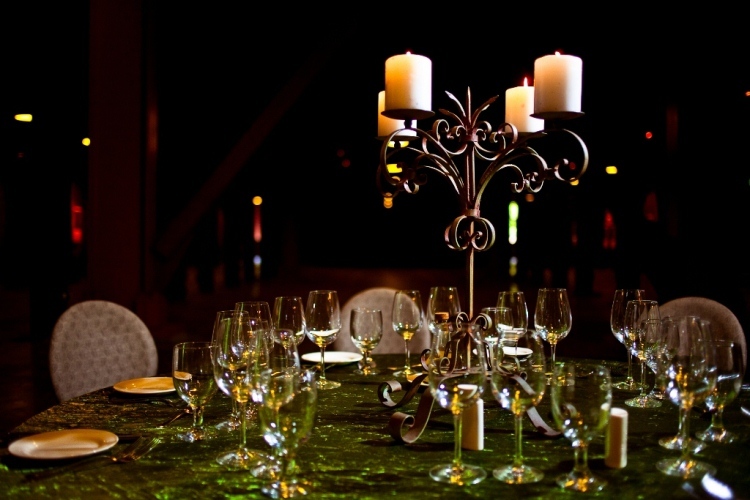 After creating a menu in collaboration with our Special Events Executive Chef, we will select wines to perfectly complement the flavors in your meal. 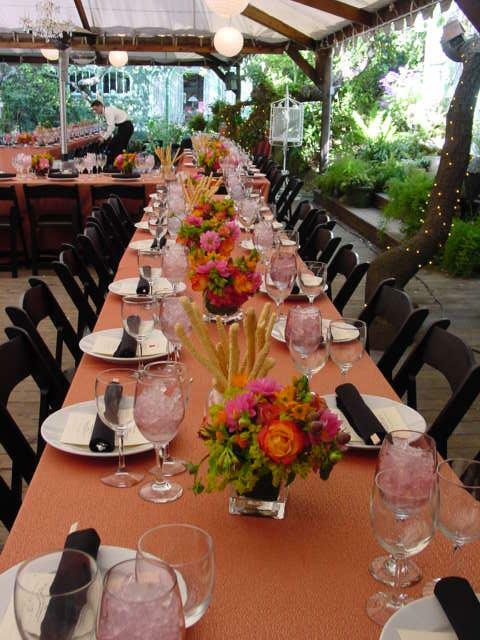 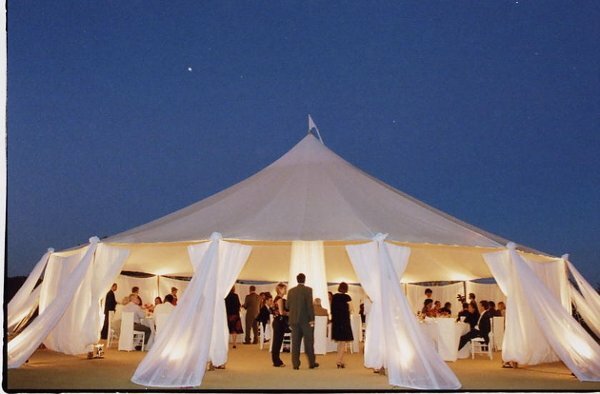 Whether the event of your dreams is an intimate family gathering for twenty or a corporate gala for three hundred guests, our highly seasoned team will assist you from the initial planning stage through to a memorable event. 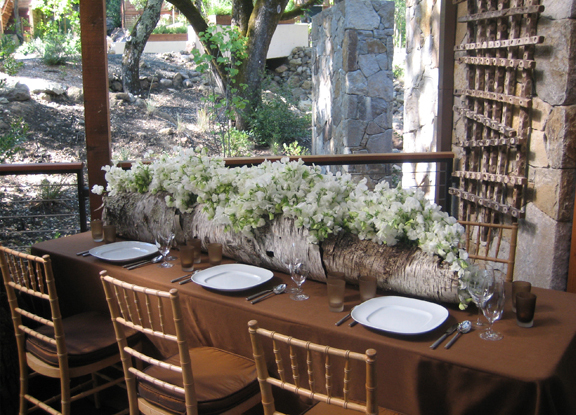 We are also able to customize interactive cooking programs, wine sensory analysis programs, and food and wine pairing experiences. 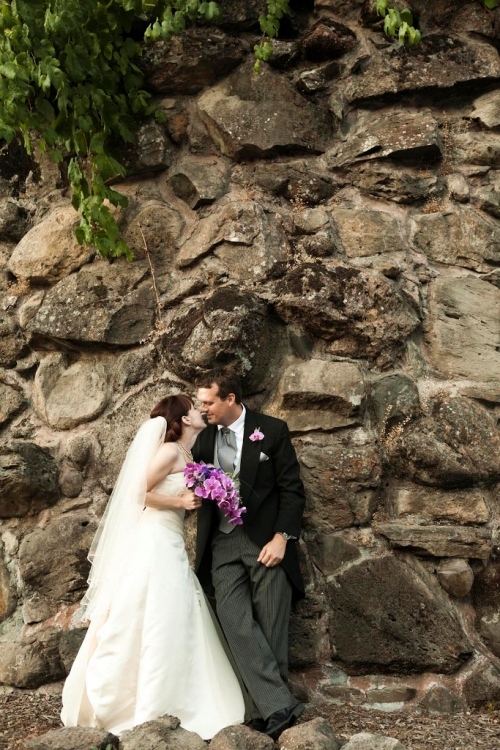 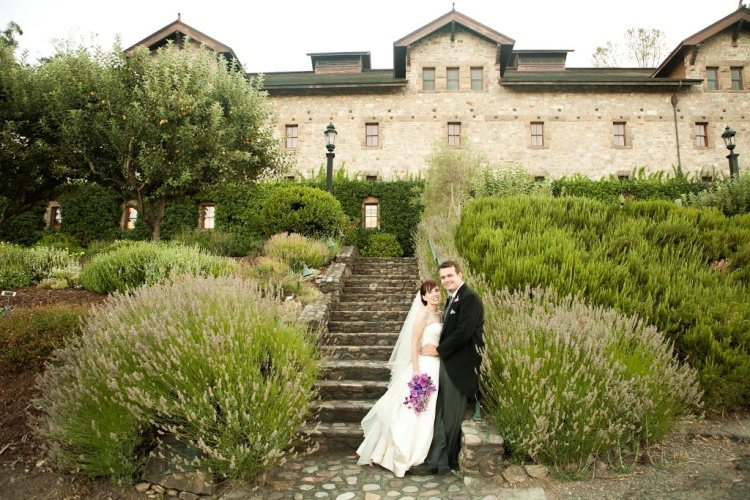 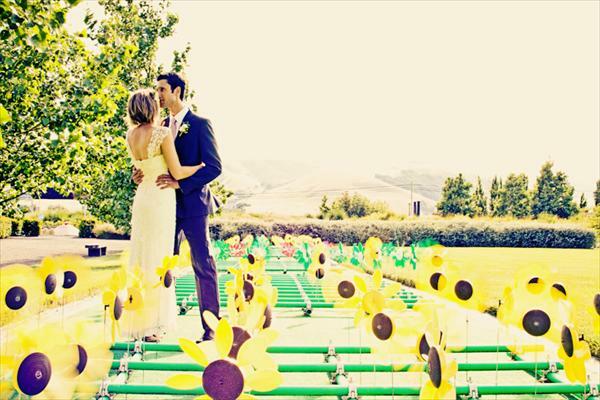 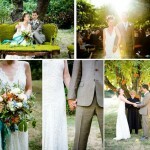 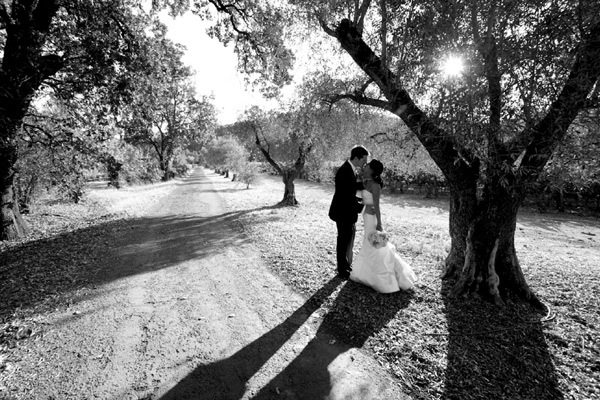 The personal attention of our wedding staff and Greystone’s uniquely beautiful wine country setting combine to create a celebration that the bride and groom, along with their guests, will never forget. 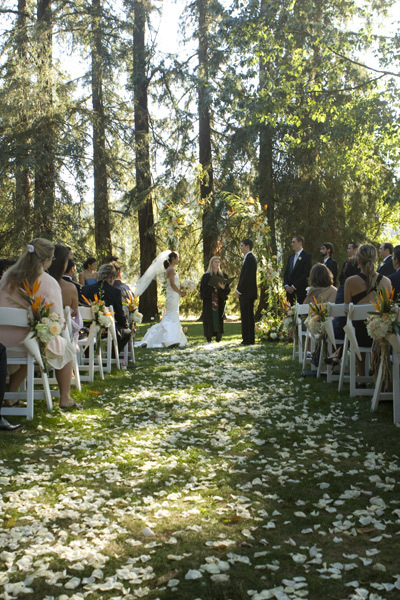 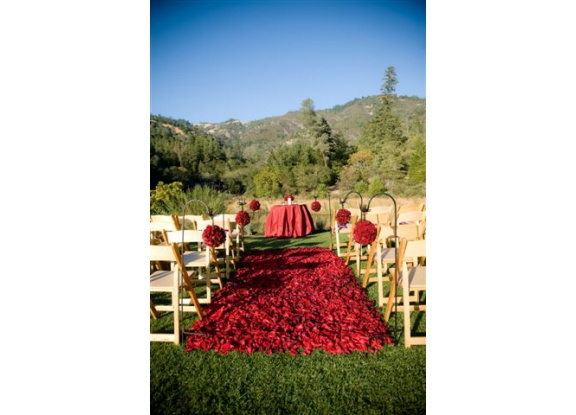 Whether you choose an intimate ceremony under the boughs of the century old apple blossoms in the orchard, or a large celebration in our beautiful meadow, Dawn Ranch Lodge is the perfect romantic setting to celebrate your union. 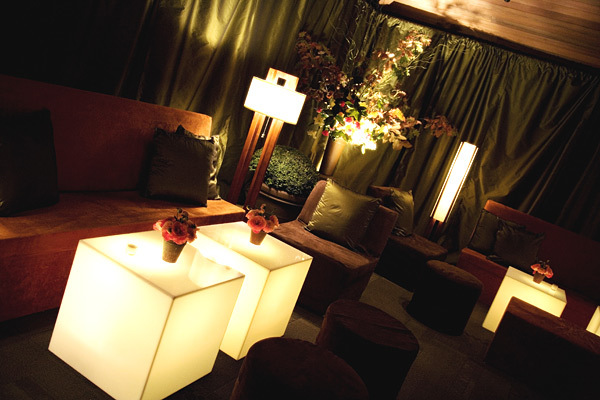 Relax and enjoy these beautiful surroundings, while our dedicated staff ensure that you and your party experience a joyful, stress-free day. 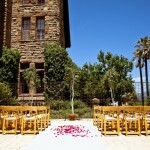 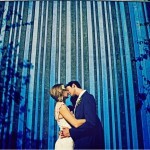 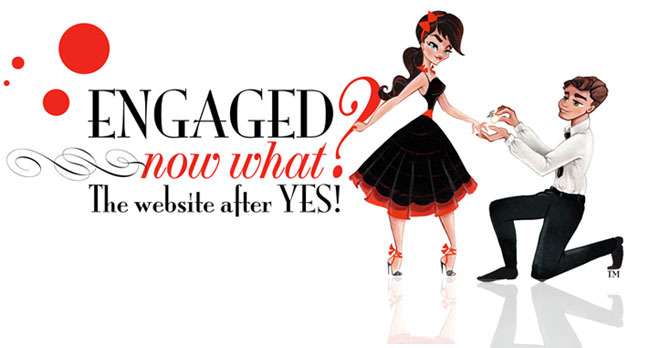 It has been our great pleasure to see so many loving couples start their lives together here. 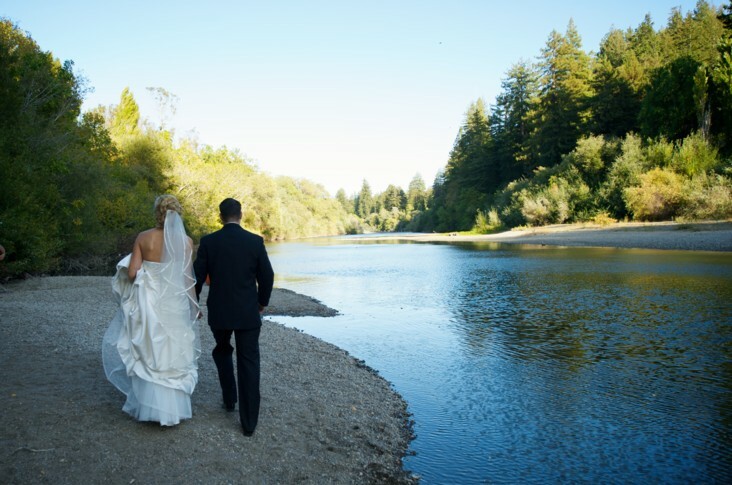 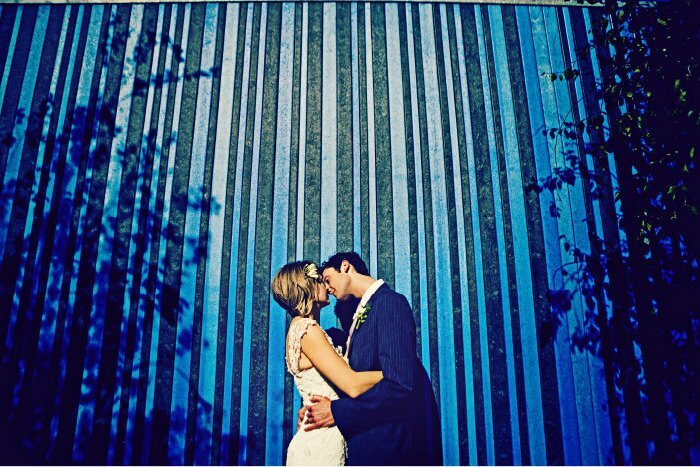 Whatever the season, we offer you a stunning backdrop for your big day. 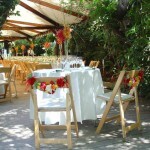 Spring and summer bring thousands of flowers and fruit trees laden in bloom, while autumn and winter offer spectacular changes of color and tone. 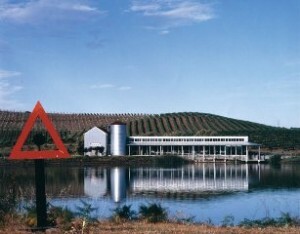 This bulcolic landscape offers a truly unique experience.